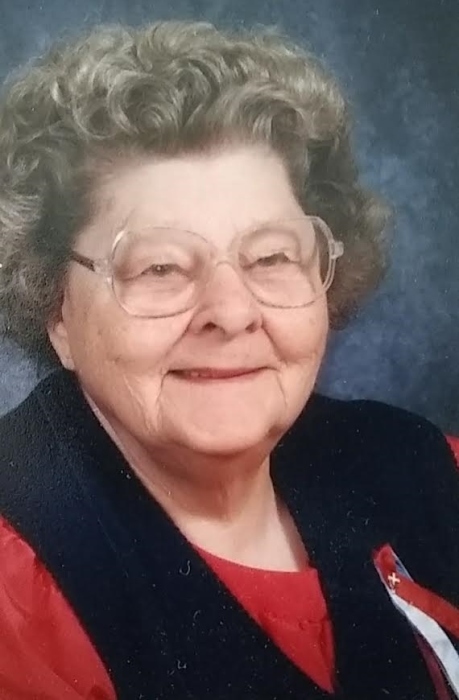 Betty Louise King, age 89, of Elkhart passed away on March 26, 2019 at Woodland Manor in Elkhart. She was born on September 7, 1929 in Cassopolis, MI to Laurel Dallas and Beulah (Messenger) Richmond. On June 7, 1971 she married Richard G. King. Betty is survived multiple nieces and nephews and great nieces and nephews. She was preceded in death by her parents, her husband, and her siblings,Louis Richmond, Laurel Dallas Richmond, Jr., Pauline H. Richmond, Delano Richmond and Yvonne Uplinger. Betty worked on a farm in her youth and at several area nursing homes, she retired from Real Services, INC where she worked with school children. She was a member of New Creation Fellowship Church. She was known to many as “Grandma Betty”. A celebration of life service will be at 2:30pm Sunday, April 7, 2019at New Creation Fellowship, 30190 County Road 10, Granger, IN 46530. Rev. Arnie Klahr will officiate. Burial will take place at a later date at Shavehead Cemetery in Jones, MI. Stemm-Lawson-Peterson is entrusted with her arrangements. Memorial donations in memory of Betty may be made to the church to help with funeral expenses. Online condolences may be made at Stemm-Lawson-Peterson website.